From Feeling Hot Hot Hot! Dealing with Heatwaves a hypothetical, Marion Cultural Centre, February 7th. Metaphors aside, South Australia is the home of an actual giant battery. Some cartoons from this year’s Future of Communities: Power To The People Conference, held in Melbourne 14-15th September, an annual event created by the Bank of Ideas and the Municipal Association of Victoria. Cartooning at the Victorian Regional Development Australia Forum 21-21 April 2016, at Ballarat. A video for the City of Port Phillip, Victoria, encouraging the community to tell what is important to them in keeping their city great. The feedback helps guide the annual budget preparation and Council Plan. Read more here. Voiceovers by Max McHenry and Ellie Parnell, music by Tom Kneebone. This week’s Pro Bono News cartoon. The ideas came from Karen Mahlab’s (founder of Pro Bono Australia) blog post ‘The social economy – working towards the common good’. As the intro to the post says: There is a noticeable shift from purely profit-driven capitalism towards integrated social citizenship, which is happening in Australia and around the world, writes Karen Mahlab in her latest blog. 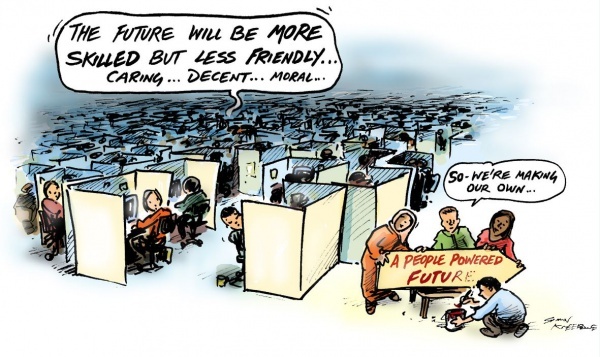 ‘Australians foresee a future where their society is more skilled but less friendly and moral, Queensland University of Technology research has found.’ Read the Pro Bono post: Gloomy Aussie Outlook Forecasts Unfriendly Future. This is the latest Pro Bono news cartoon. 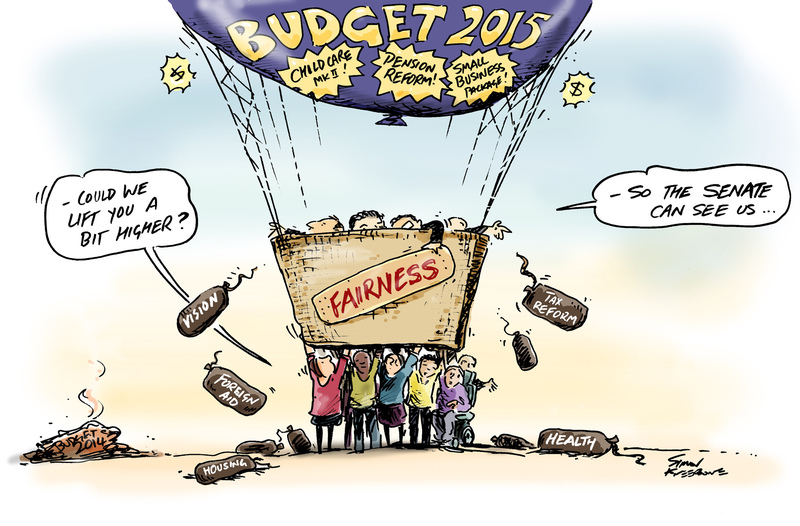 Today’s NFP Kneebone cartoon for Pro Bono, the not-for-profits on-line hub news page.